Chen Ying is the largest manufacturer and exporter of central lubrication systems in Taiwan. 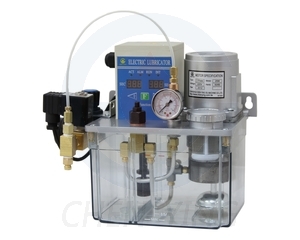 Offering various kinds of oil pumps, lubricators, distributors, accessories and fittings. Established in 1978, Chen Ying’s products have an impeccable reputation in international trade quality keeps them the standard of lubrication systems around the world. With more than 35 years of professional manufacturing expertise, Chen Ying can specifically customize the products to meet the customer requirements. In addition, their R&D staff develop new products each year to improve efficiency and quality. Since their inception, the machinery industry has widely acclaimed their pumps for their quality. They have achieved a domestic market share of over 50%. Chen-Ying is not only committed to enhancing the quality of lubrication systems but also brings the best products to the machinery industry. Like MotionSource, they believe that working in partnership with customers. This can boost your production and lower your costs through product excellence and our application knowledge. Throughout their 35 year history Chen Ying has established a strong reputation for quality. Since 2013, their relationship with MotionSource has allowed us to provide our customers the highest quality products at the best pricing. Call us for a free quote 888-963-MOTO (888-963-6686) or email us!